Before we start learning actual characters, you need to know how the Hanja system works. Only words of Chinese origin have corresponding Hanja characters. At first, there is no easy way to know precisely if a word (especially a noun) has a Chinese origin without looking that word up in a dictionary. Eventually, as you learn more Hanja characters, you will become more and more familiar with the words that can be represented in Hanja. Most adjectives and verbs that end in –하다 have corresponding Hanja equivalents. Most adjectives and verbs that do not end in –하다 do not have corresponding Hanja equivalents. 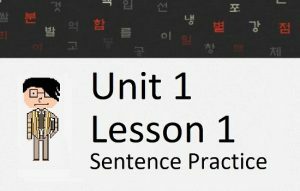 읽다: to read | This is a verb without –하다. It has no Hanja equivalent. There is no way to represent this word using Hanja. 똑똑하다: to be smart | This is an adjective containing –하다. There is no Hanja equivalent. Knowing if a word can be represented using Hanja characters or not gets significantly easier as you progress through your studies. The more characters you know (and know the meaning of), the better you will get at recognizing when a word can have a Hanja equivalent. I’d like to give you an unrealistic example of how a learner can deduce the meaning of a Korean word without ever looking up the definition. I am only using this as an example, and I do not suggest learning these characters yet. The reason this example is unrealistic is because a Korean learner would most likely know the word “서점” before learning the respective Hanja characters for “書” and “店.” Nonetheless, situations similar to this do occur when a learner has a good base in Hanja. Drawing Hanja characters is a challenge at first. Luckily, most people start with the most basic characters (both in meaning and scripture), so the hill does not start very steep. In addition, the stroke order and pen movements when drawing Hanja characters are very similar to that of Hangeul characters. That being said, I would like to introduce you to the basic scripture rules of Hanja (or Chinese characters, for that matter). 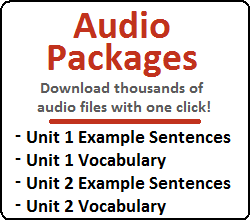 These rules will be sufficient for you to be able to write the characters introduced in this Lesson. 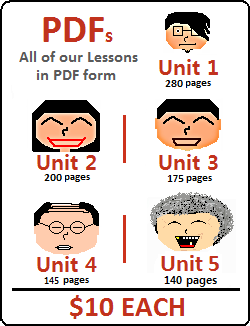 I have specifically chosen characters for this lesson that are simple, common, and can be used to teach the basic stroke-order rules. I will be referring to these rules by number throughout the lessons. I will introduce new rules as they become necessary. 1) Draw lines left to right, and top to bottom. Notice that a stroke is never drawn right to left, or bottom to top. Without knowing this rule, most people would incorrectly connect strokes 2 and 3 by drawing a line right-to-left. In addition, corners from left-to-right to top-to bottom (strokes 1 and 2 above) and top-to-bottom to left-to-right (strokes 4 and 5 above) are usually done without removing the pen from the paper. Each Hanja character has an equivalent Korean name. These Korean names are used to indicate which specific character one is referring to in a conversation. The Korean name is usually composed of the Hangeul equivalent of the character being described by a Korean word. They don’t need to be memorized, although most of them are fairly intuitive. One of the most common Hanja characters that you will see in Korea. When ordering at restaurants, you will often see this symbol (in addition to the other characters in this lesson) on a menu to distinguish between the different sizes of dishes you can order. Also commonly seen in stores/supermarkets to differentiate between different sizes of items. 3) For mirrored diagonal strokes, draw diagonally right to left before left to right. Therefore, the second stroke of this character should be the stroke going from the top to the bottom left (note that doing these diagonal strokes would be one of the only time that you draw from right to left). After introducing each character, I will provide a list of Korean words where that character can be found. When this is done, only the characters that have been introduced up to that point will be represented using Hanja characters. 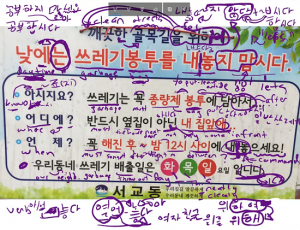 As you can see below, the word “대학교” is written as “大학교.” Note that “학” and “교” do have Hanja equivalents – but because they haven’t been introduced yet, they are not shown. If a word has a letter that can be represented using a Hanja character, most of the time the other characters can be represented using Hanja characters as well. One of the main exceptions to this is “하다” – which is found in many (many!) Hanja words – but “하다” itself cannot be represented using Hanja. As with “大,” this character is very common in restaurants or stores to indicate the size of an item. While common in these applications, most words that use this character are difficult. 4) Draw minor strokes last. This is one of the easiest characters to recognize because it is a box with a stroke through the middle of it. Along with 大 and 小, you will find 中 in stores to indicate the size of an item. The direct translation of “China” in Chinese is “middle country,” which explains why you will see this character all over China and Chinese food restaurants. 7) When drawing a box with contents inside, draw the outline of the box (left, top and right) first, then finish the contents within the box before enclosing it with the bottom stroke. Therefore, the lines within the two boxes should be written before their respective closing strokes. These first five characters will get you started in your pursuit of learning Hanja. As the lessons continue, you will start learning more and more difficult characters.